Over the weekend, anti-Trump activist Haberman announced she is pulling back from Twitter. Despite her access to “block” and “mute” buttons, the snowflake finds the social media network stressful. Naturally, she blames President Trump. Is the widdle baby gunna cry now? We all know what Haberman’s problem is — she is losing the argument. In an environment as democratic as Twitter, ideologues like Haberman cannot win on a level playing field. This is why the left cannot survive on talk radio, why cable news panels are stacked 10-to-1 with Trump-haters. The left’s ideas are not sustainable under direct challenge. As far as Twitter’s “ugliness,” while it is real, it is also an excuse. Check out my mentions someday. But because I am a mature adult who lives in the real world, as opposed to a neurotic crybaby who lives in a bubble, unlike Haberman, I do not wake up on Sunday mornings “feeling anxiety in my chest.” Instead, I wake up on Sunday mornings looking forward to buying a gun at Walmart after church. Haberman also has propaganda to spread, and it comes in the form of a thinly-disguised call for Twitter to kill equality. “The downside [of Twitter] is that everyone is treated as equally expert on various topics,” she writes. What is this “expertise” she believes Twitter should treat unequally? I think we all know she is not talking about meteorology or cancer surgery or tuning a guitar or baking a cake — you know, actual expertise. No, Haberman’s idea of “experts” are people like her — the lying, left-wing opinionators who share her establishment media bubble; self-appointed “experts” who have lost the trust of 72 percent of the public; smugs who get everything wrong; sheltered hysterics who cannot handle Twitter. “On Twitter, everything is shrunk down to the same size, making it harder to discern what is a big deal and what is not. Tone often overshadows the actual news. All outrages appear equal,” she whines. Who voted to make Maggie Haberman the Outrage Hall Monitor, to give the establishment media the authority to bully their way into our conversations and decide what our priories should be? What Haberman — and we all know she speaks for the rest of the establishment media — is actually angry over is that once her preferred narrative hits the real world of social media, we point and LOL. What gives her this Sunday morning anxiety is that her partisan priorities do not match ours, and the fact we do not trust, believe, or respect her — and for good reason. Haberman is stomping her feet and going home because she cannot control the conversation. And guess who agrees with her? 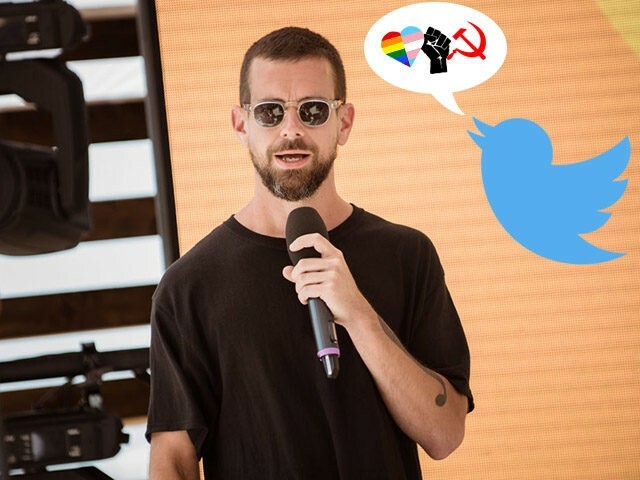 In a series of Tweets this week, Twitter’s CEO quoted Haberman’s most anti-democratic ideas and announced his intent to make Twitter less equal. One of the biggest areas I believe we can help. Helping to determine credible voices per topic in real-time is extremely challenging, but believe it’s possible. Mix of algo[rithm]s and network. One of the biggest areas I believe we can help. Helping to determine credible voices per topic in real-time is extremely challenging, but believe it’s possible. Mix of algos and network. This is the intention behind ranking the timeline. Show you “what matters” first, everything else still accessible. Lots of work still to do. Def a problem. Believe we can help solve by showing more context and related conversation. Is that Twitter’s future? One in which an out-of-touch billionaire who uses Orwellian phrases like “conversational health work” is going to decide who is and is not an “expert,” what is and is not an “outrage” — that he is going to put on his bossypants, barge into our public square, and tell us what our priorities should be — and if we disagree, shadow ban, delete, or manipulate us? The only people who talk this way are those who are losing the argument, and anyone who believes Haberman’s opinion (or my opinion, for that matter) deserves special treatment over those who grow and transport our food, fight terrorists, police the streets, keep our furnaces running, unclog our toilets, dig the coal, or work the cash registers — well, that is an un-American as it gets. Nothing terrifies the Ruling Class more than We The People being left alone to talk amongst ourselves.